If you are into smaller speakers, standmounts can be a lovely investment to get great sound in smaller spaces. But if you spend thousands on super speakers, remembers to put at least a few hundred into stands. Using chairs, ikea stuff just does not cut it. And bookshelves are not meant for anything more than mini compo speakers. Well the transducers in your speakers need a stable platform to perform well. Isolation of the speakers from the floor and even the stands with cones, blu tack etc adds to the solid image. 1. If I already have a HT receiver, would getting a tube pre-amp give me "tube-like" sound? 2. Since the HT receiver is actually an integrated amp, can I use it as a power amp? Any particular inputs I should connect a tube pre-amp to? sorry just so that I understand you correctly. We can add a Tube-Preamp between the CD player and the HT receiver (any inputs), right? You are right, you can use any input on the HT except the phono. You don't need a preamp for cd player. It ended up as a input selector. 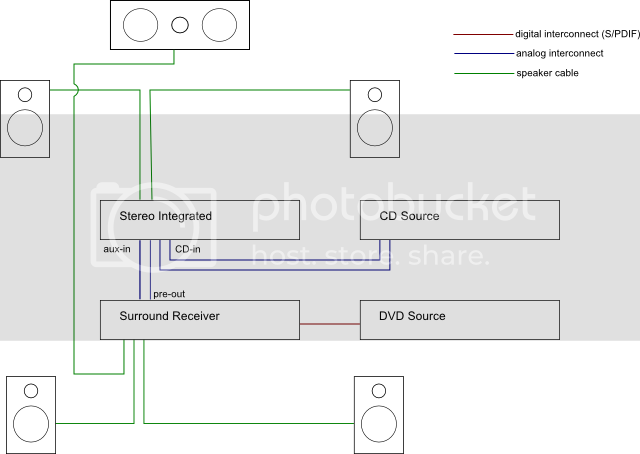 To improve the CD sound, you should put in a "tube" DAC if you prefer "tube" sound. That will ready make a different. I'm wondering if I can start a thread on suggestions to upgrade my set-up? I'm a very new beginner, saw all the big jargons and was quite intimidated. A can of Philip contact cleaner can be bought at Sim Lim Square level 2 - one of the shops at the back which sells RCA connectors, switches, soldering and DIY equipment. For vPOSTJAPAN service, you will not purchase any of the below list of prohibited items, which may be updated from time to time by the Japanese Government. Dangerous goods classified by the Japanese local regulation or IATA Dangerous Regulations including any materials with dryice. Items restricted by the Washington Treatment, ivory. Any items that require temperature control.